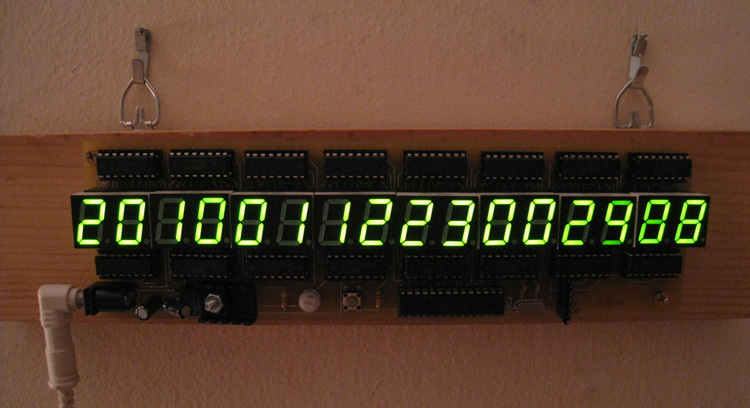 Digital clock with 16 digits, displaying time in year, month, day, hour, minute, seconds, and hundredth of seconds. A variation on a familiar object, spanning different time scales from years to beyond the rate of human perception. Living in a big city like New York I always have the feeling that I am running out of time. 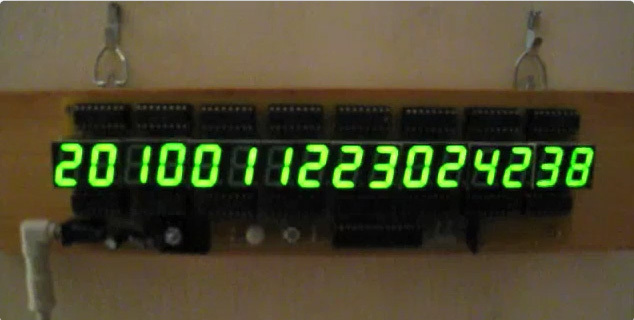 Looking at this clock also gives me this feeling.